Carrots are good sources of Vitamin A and beta carotene, which play a significant role in improving vision. 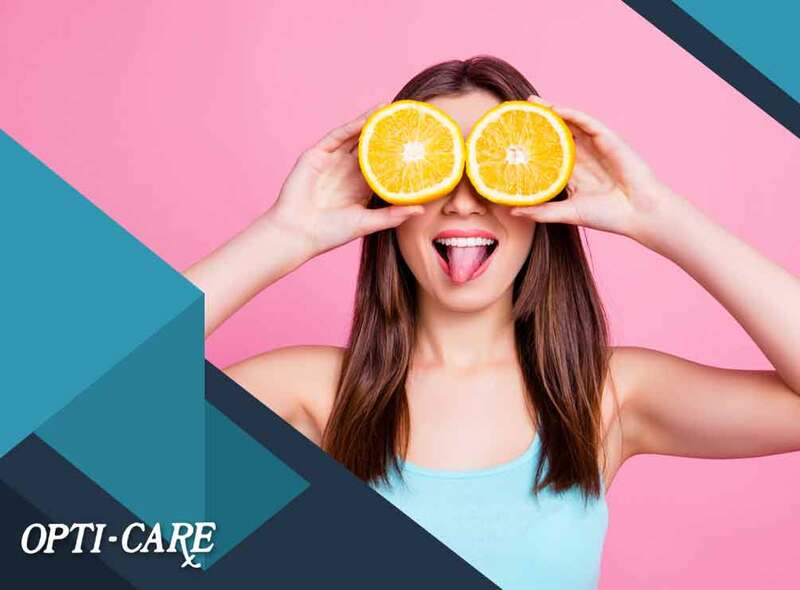 Citrus fruits fight age-related eye damage because they are good sources of Vitamin C.
Eggs are great sources of lutein, zeaxanthin and vitamins C and E.
Fish such as mackerel, tuna and anchovies are excellent sources of omega-3 fatty acids. Green leafy vegetables provide lutein and zeaxanthin, which bolster the body’s defense against free radicals. Nuts and seeds are good sources of omega-3, according to your trusted eye exam provider. Last but definitely not least, water prevents dehydration and keeps your eyes lubricated, allowing them to flush out salt in your body and prevent eye strain. The foods listed above are just some of the sources of vitamins and minerals that can help strengthen your visual health. If you have eye problems right now, it is not guaranteed that they will be solved just by eating these foods. You should have regular eye exams to prevent underlying eye conditions from worsening. Turn to Opti-Care for all your vision needs, including eyeglasses and contact lenses. Give us a call at (410) 600-3173 or fill out our contact form to request an appointment. We serve clients in Marriottsville and Westminster, MD.